Hidden Culture, Forgotten History: A Northern Poetic Underground and its Countercultural Impact (pennilesspress.co.uk) written by Bruce Wilkinson is primarily the story of how a trio of 1960s Lancastrian poetry magazine publishers connected with elements of the US underground, transmitting messages of a new liberalism and sparking the development of a local alternative scene. Jeff Nuttall’s Bomb Culture and Jonathon Green’s works on British counterculture link experimental poets and their magazines with the beginnings of a UK underground while Dave Cunliffe, Tina Morris and their publication Poetmeat are mentioned in this research. I have built upon these studies following how Cunliffe, Morris and the poet Jim Burns used the BB Books small press to spread radicalism inspiring alternative bookshops and newspapers, festivals, communes, collectives and numerous groups of activists whose influence still resonates today. 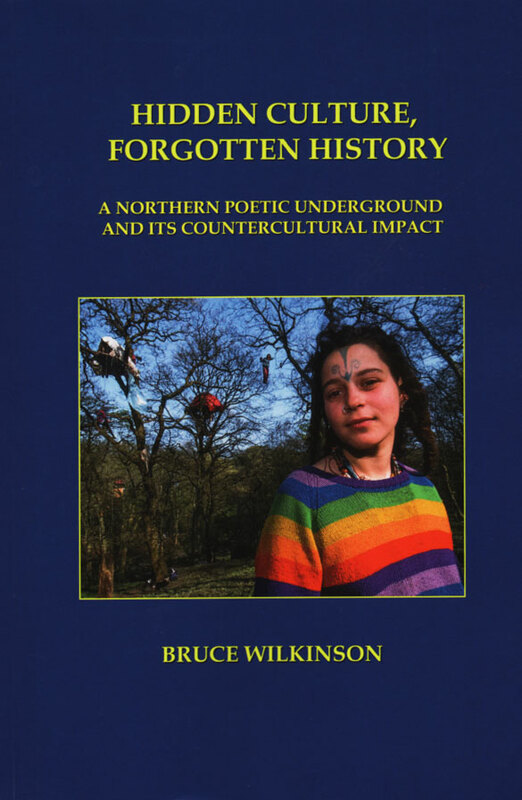 This entry was posted on 6 April, 2017 in homepage and tagged Bruce Wilkinson, Northern Poetic Underground. Bookmark the permalink.